Scheduled to open to the public in 2018, this commercial tower will provide office space, residences, a hotel and retail space. 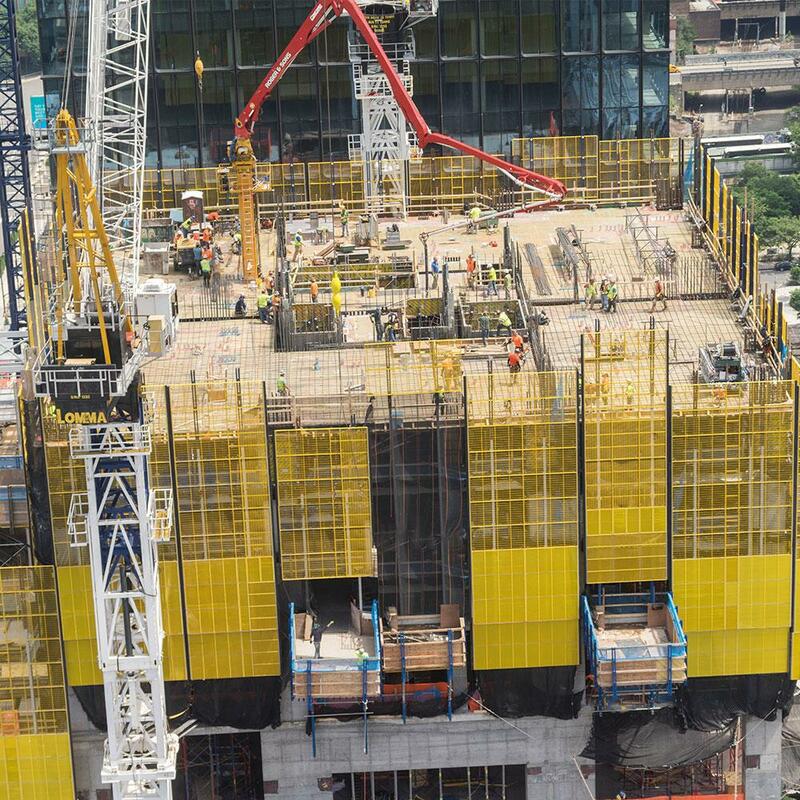 The 1.3 million-square-foot, sharp-cornered building will stand 780 feet tall with 51 floors. The typical floor height is approximately 13 feet and the typical floor area is 144 feet by 155 feet. Cross Country Construction is using 23 protection screens that are 53 feet 4 inches tall and 6 loading platforms, totaling 73 vertical profiles. When completed, Hudson Yards is expected to gain another title: a model for the 21st-century urban experience, one in which vertical neighborhoods provide tenants with an unprecedented integration of buildings, streets, parks, utilities and public spaces so they can work, live and play. For those building these supertall structures, however, setting new standards for safety would be an ideal designation. 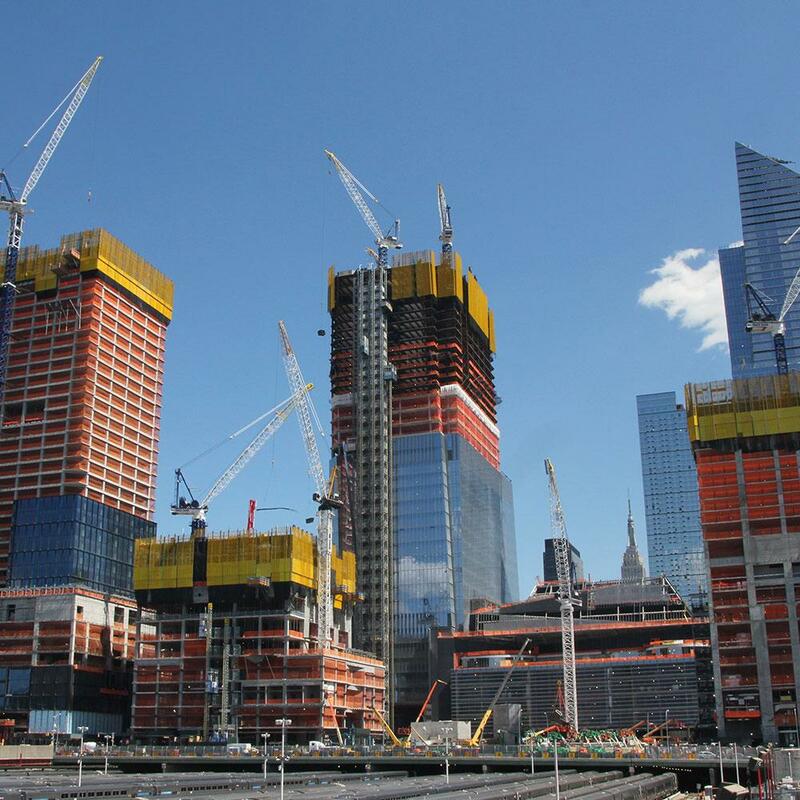 Using full perimeter protection helps sets the bar for heightened safety when building in the sky. 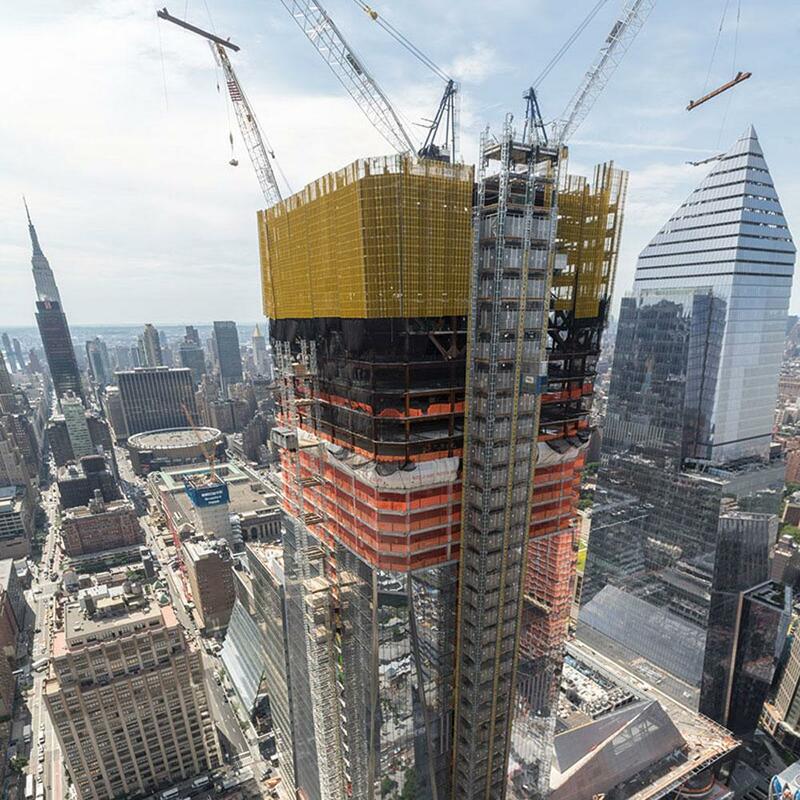 The expansion is uncharacteristically large and high, advanced safety measures are needed to protect construction workers exposed to extreme height conditions. The most common safety concerns in these types of projects are falls due to slips, trips and strong gusts of wind. Pedestrians below also need protection from falling debris. 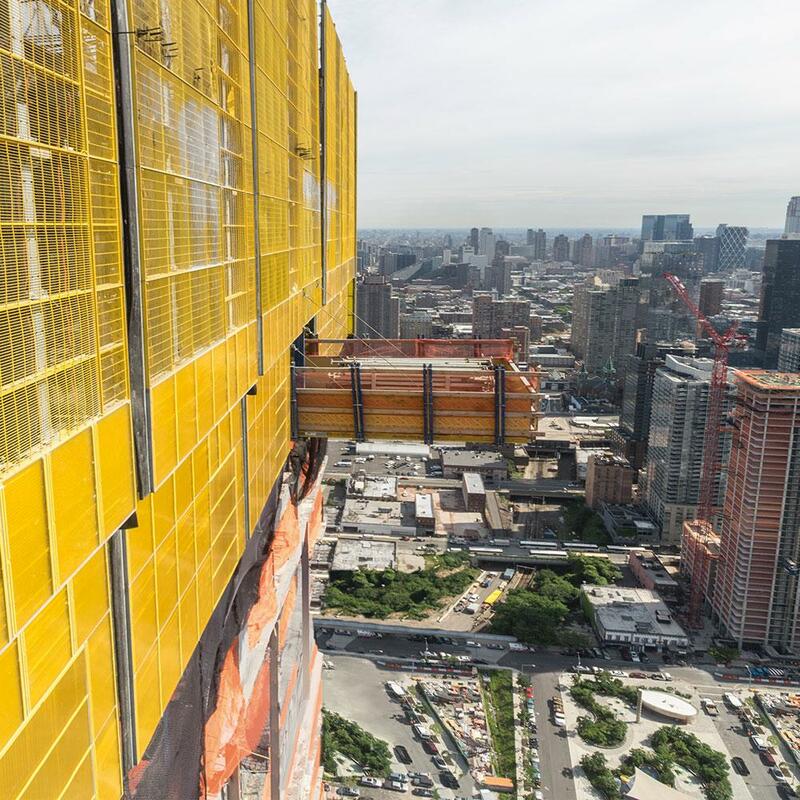 As a result, three contractors working on four Hudson Yards skyscrapers are providing their crews with full perimeter protection by using Doka’s automatic climbing formwork Xclimb 60 with Xbright protection screen system. Specifically designed for high-rise projects, the gapless enclosure keeps workers, along with their tools and materials, safely inside the work area while keeping out the wind, rain and other elements. 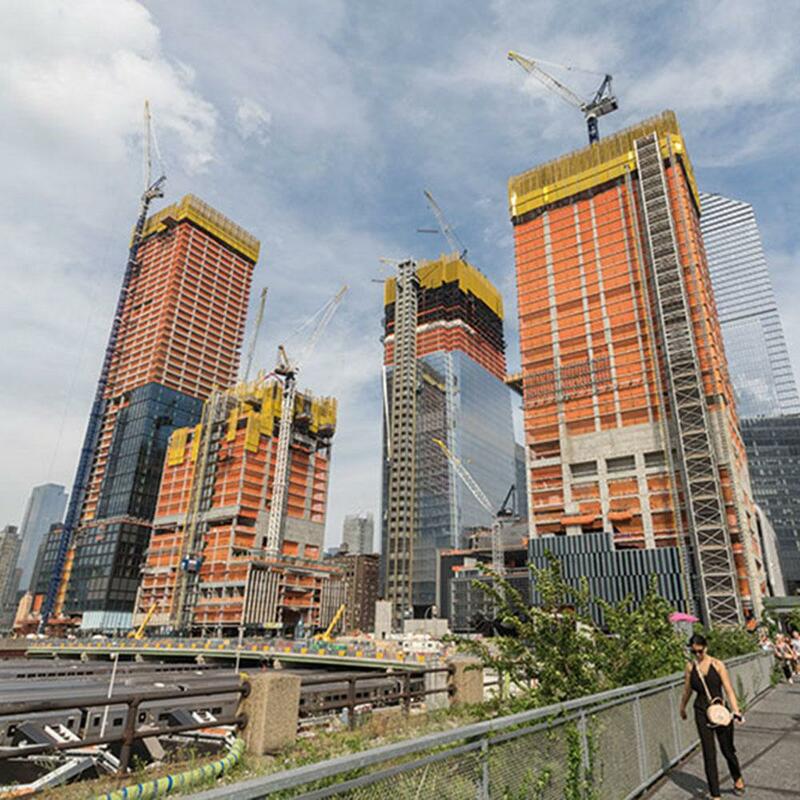 Thank you for your interest - 55 Hudson Yards. Thank you very much for your interest - 55 Hudson Yards.